Buy Lee a Coffee. - Ko-fi ❤️ Where creators get paid by fans, with a 'Buy Me a Coffee' button. 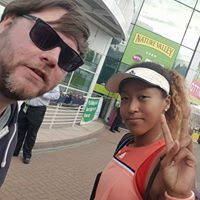 I run a website with listings and alerts for tennis coverage on British TV I do it completely in my own time and for no profit but some bits cost a little money, so I have set up this page for others to support and show appreciation. Secured Payments. Support goes to Lee's account. Upgrade Lee to a yearly Gold Membership with a one-time payment.